London cycling commissioner Will Norman declares in the video that ‘Cycling is very safe in London.’ But there are twice as many serious accidents per mile cycled as in Amsterdam and Copenhagen. Imagine if breast cancer survival rates were three times as bad in London. Would Norman tell us that getting your treatment in London was safe? I suppose the law protects engineers from doing anything wrong but if I were a barrister and my cyclist/partner was killed on the LCN, I’d sue them. 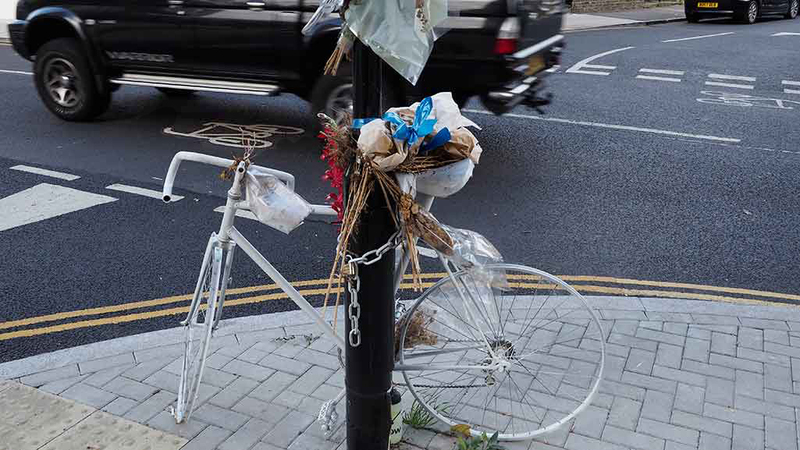 I was delighted when the white bikes appeared on London roads in the 1970s but if I was the boss of TfL I would either re-classify them as ‘meaningless road decorations’ or take a blow torch to them. [Good to do an eBook on London cycle planning with video links). TfL definition: ‘Quietways are continuous and convenient cycle routes on less-busy backstreets across London’. Criticism: (1) London’s entire 9,215 mile network of roads is ‘continuous’ (2) the first generation of Quietways is not convenient for commuters, because it is an indirect route on backstreets, and it is not convenient for leisure use, because so much of the length (shown in black) is merely an exercise in road marking. It lacks safety and it lacks scenic quality. Your children would need to be in their mid-teens before you let them cycle here. Suggested criteria: the blue and green sections on the above map are suitable for children and for leisure use. The black sections are semi-quiet roads suitable for local access to shops, colleges, stations etc and for connecting to long-distance commuter cycleways. WHY not map busy roads instead of quiet roads? Or, if so few changes are being made, why not map all quiet roads?